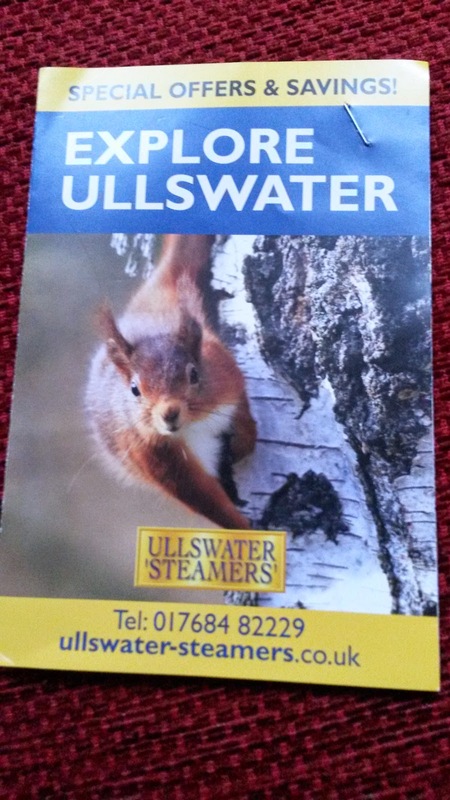 Yesterday we visited Ullswater Steamers to do a review for the What's Go to Do website. We had a lovely run up to Glenridding and went over Kirkstone Pass. 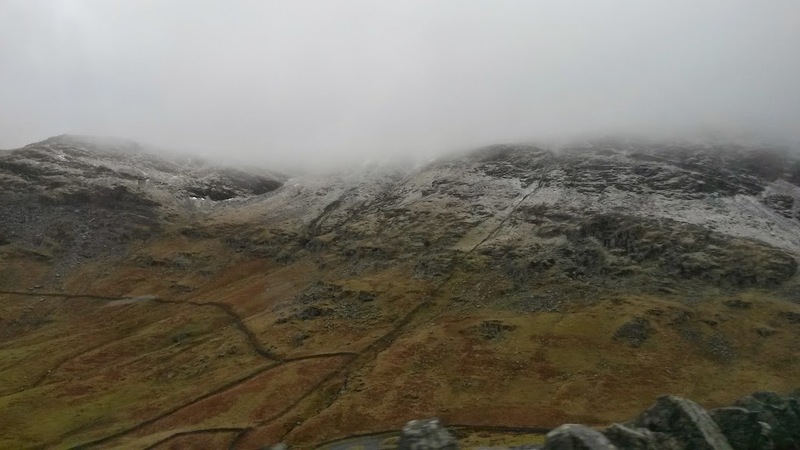 It was a bit grey and there was snow on the tops but the weather improved as we reached Glenridding. Here is our review of the trip. For over 150 years boats have been sailing up and down the length of Ullswater in the Lake District. Originally introduced to move cargo they now operate a passenger service to tourists. It is well worth looking at the website before you visit as they list plenty of suggestions of activities along the length of Ullswater that can easily be linked with the Steamer cruises.You can also download a copy of walking and cycling guides from the website. They have a full programme of special events that run throughout the year with a couple of family friendly days that encourage children to dress up or bring a teddy. Participating children then travel free - a great idea to help save money on family days out. We parked at the car park by the pier at Glenridding and paid £3 to park for the whole day (other charges apply in high season). There is a small gift shop and cafe on the pier selling hot and cold drinks and a range of snacks and gifts. There are also a couple of displays on the wall telling the history of the steamers which were interesting to read. 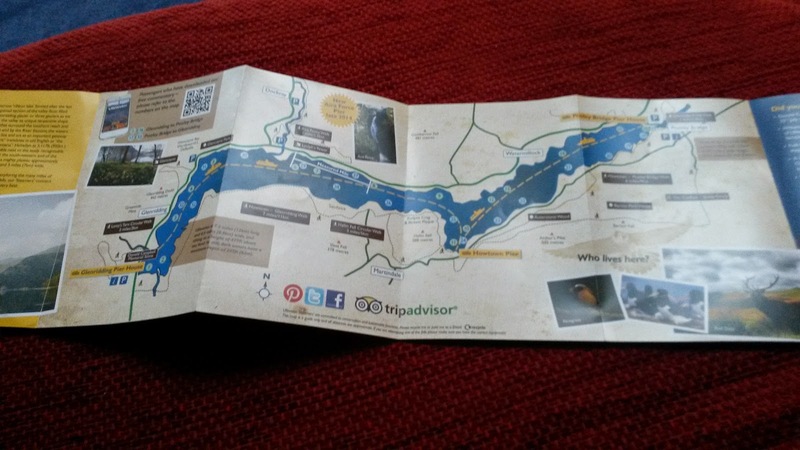 We were given a small booklet titled “Explore Ullswater” which had a handy map of the lake and information that linked up with the free commentary app as well as the boat timetables. We walked out onto the pier and didn’t have long to queue for the next boat and our sons enjoyed looking at the boats whilst we were waiting. The boats are all similar designs with outdoor seating with a canopy on the upper deck and an indoor area below. The boat was quite large with plenty of seating and there were standing areas at the front and rear of the boat. Like most of the other passengers we decided to brave the elements and sit outside for a better view of the Lake District scenery. The only minor criticism of the trip was we did find that a number of the benches were wet and we felt that it would have been better if the staff had dried these prior to us getting on board rather than us having to brush the water away and sit on damp benches. Expecting it to be cold on the boat we had wrapped up well with thick coats, hats and gloves but eventually the cold wind got too much for us and we decided to take shelter below decks in the warmth of the saloon. There are tables and comfortable benches and also a small bar serving hot drinks and snacks. Toilets are also available on board. Many of the passengers use the boat to travel part way down the lake to the stop at Howtown Bay and then return on foot along the lake shore. With the wintery weather we decided to stay on the boat for the whole journey to Pooley Bridge but it would be nice to return in summer and go for a walk among the beautiful fells. The journey to Pooley Bridge took about an hour but there was plenty to see on the trip. Being February it was very chilly and we didn’t see any wildlife but there are red deer, red squirrels and plenty of birds who make their homes around the lake. I would recommend that visitors download the excellent Ullswater Steamers app before their visit as it gives lots of useful information such as timetables and fares along with maps and a brilliant audio commentary. 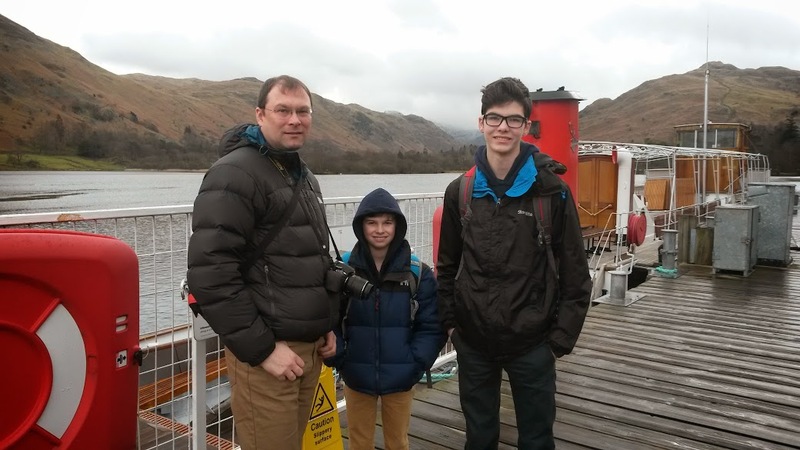 We really enjoyed our trip on the lake and it really is worth wrapping up warm and sitting on the top deck as the Lakeland scenery is stunning. A family ticket costs £33.50 and this gives you the freedom to hop on and off all day and journey round the lake at your leisure. In summer it would be nice to take a picnic and try one of the local walks. Disclaimer - We received a free family ticket for the purpose of this review. All words, opinions and images are our own.